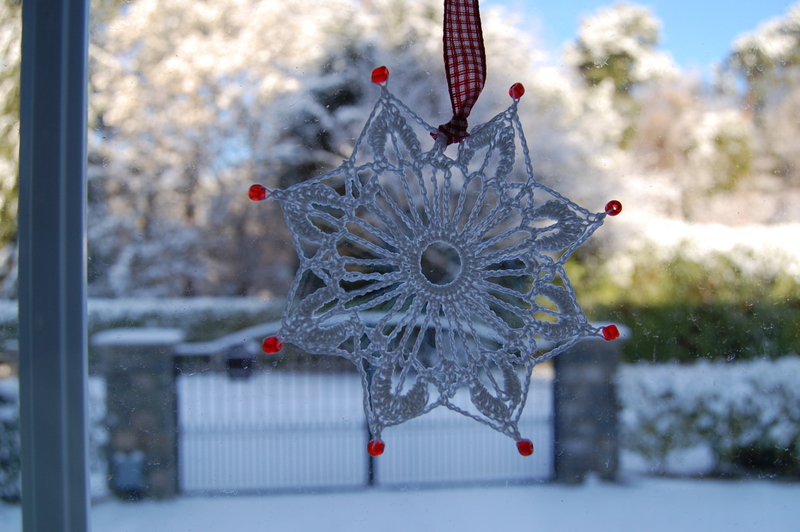 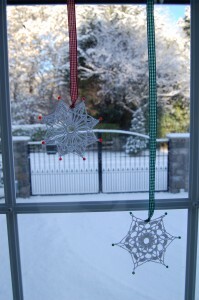 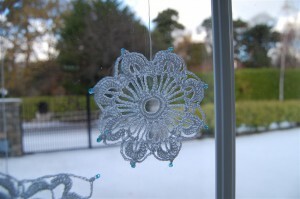 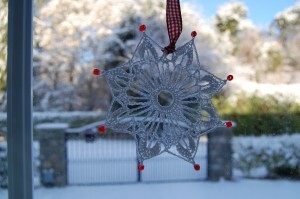 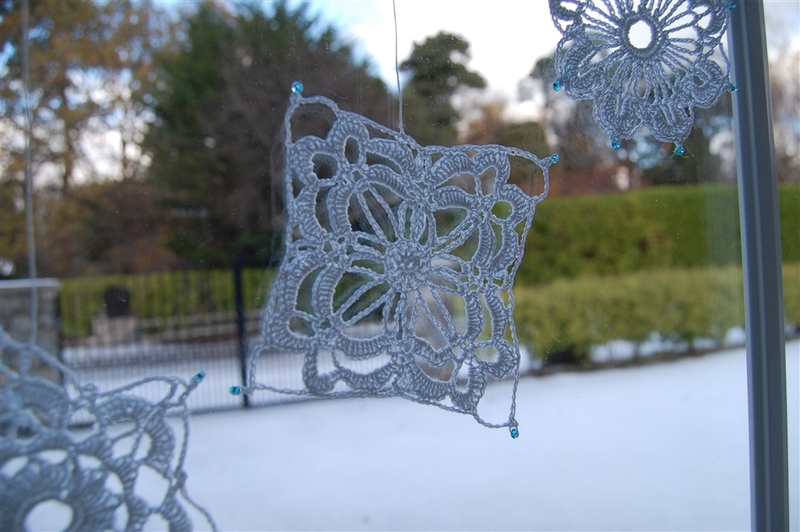 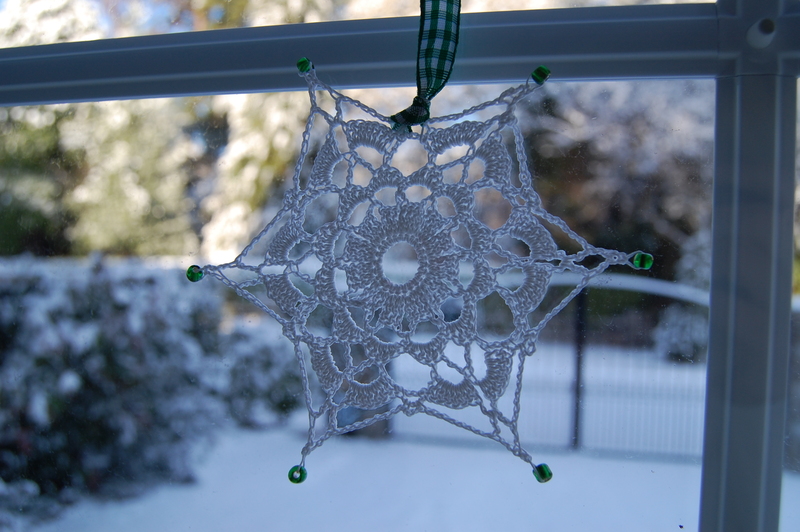 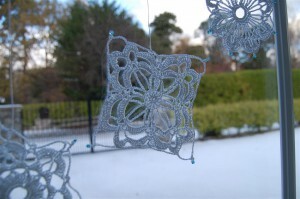 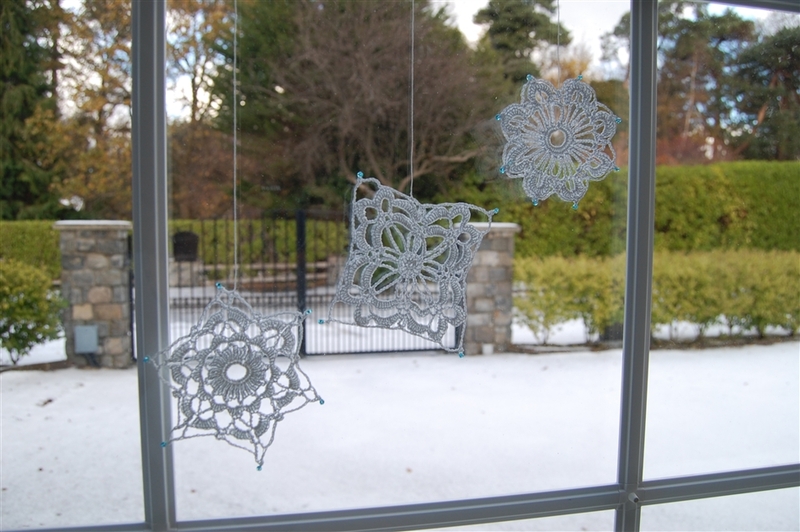 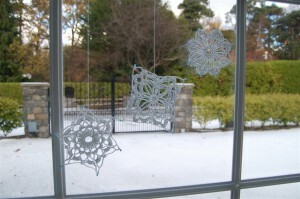 The patterns for these snowflakes are from the Learn to Crochet book edited by Sally Harding. 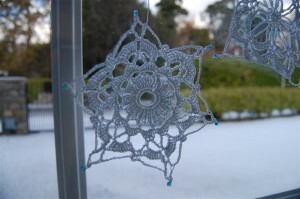 I found the patterns well explained and easy to do. I would recommend the book to the crochet newcomers as well as more advanced crochet fans considering the original ideas and really attractive crochet projects. 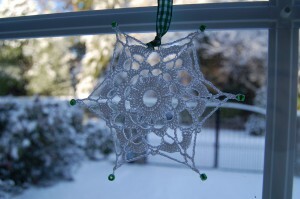 The cotton used is size 10 Ariadna Zefir in white of course.